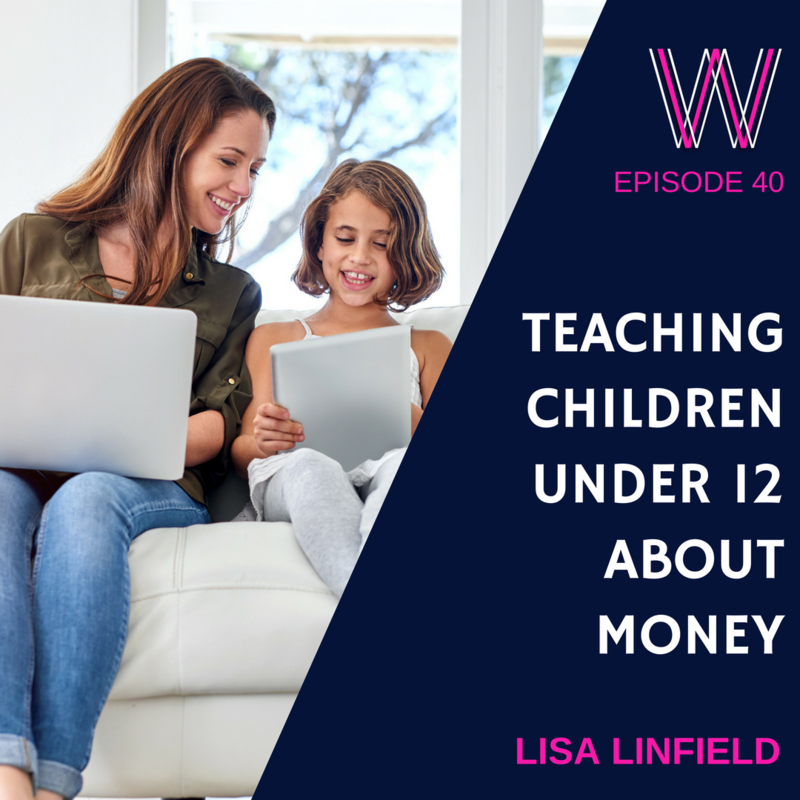 It’s a question I get asked often – how do I teach my children about money? 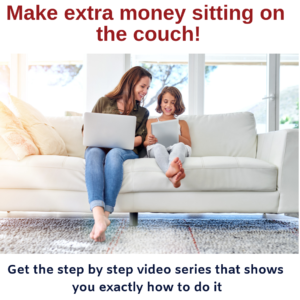 This is a topic I am passionate about because I have three little people whom all have very different outlooks and habits when dealing with money. Raising kids who are grounded, generous and smart about money is no small feat but it is incredibly rewarding both financially and emotionally for you and your child. I highlight some great tools to put in place at different learning stages. There is NO guarantee that by teaching children about money in this way that we will get a generation of savers. However, if we teach kids early on about other options other than spending is a big start! Regardless, as parents, we all want to know that we have at least tried to build a foundation for one of the important elements of life – money. Check out The Opposite of Spoiled by Ron Lieber explaining the “three jar system”. If you enjoyed this podcast, you may enjoy our related content on kids money. Please subscribe to our podcast on iTunes, and leave a rating and review. This helps the podcast to rank higher and therefore makes it more visible to others browsing podcasts in the hope they too may benefit from our content. Lisa Linfield: 00:09 Hello everybody, and welcome to today’s episode of Working Women’s Wealth. We’re going to be chatting about teaching young children under the age of 12 about saving and money. I am passionate about this topic because I have three little people who are 10 and twin six-year-olds, and so it’s something that I really am, I guess, exploring with them. I always used to say I was an expert parent until I became one, and being a parent is hard. The only thing I have come to know is that we need to do what we believe is best, and then the rest really is up to our kids. So in my family, I have a very studious child with money, I have a moderately studious child with money, and I have one that’s not so good at all, despite me being a person who obviously teaches about how to teach your children about money. So I really am of the notion that we can all just learn together in this road. The most important thing that we need to consider when we teach children about money is where they are developmentally, and one of the things that I see often is well-meaning parents who have very young children with bank accounts, and whilst that is definitely better than nothing, one of the challenges is that little peoples’ brains work in a very concrete fashion when they’re young, and when they’re young, they like to touch, feel, and learn physically. That concrete thinking really means that they actually need to physically receive the money, physically split it between its different jobs, and physically decide whether they want to spend it or save it. The challenge about little people having bank accounts is they don’t actually know what happened to the money because, as far as they’re concerned, all you need is a piece of plastic and you can buy anything, and so they don’t actually get the concept of where the money goes to. So I was … Well, I am very blessed to teach little people about money at school, and what always amazes me when we first start is that the natural answer to, “What do you do with money?” is spend it, and there are very, very, very few times that people will actually say give. And so I use the three jar system. I read about it a while ago in a great book called The Opposite of Spoiled: Raising Kids Who Are Grounded, Generous, and Smart About Money. So we have two smaller jars for give and spend, and the bigger jar for save, so there’s no hiding what we are subconsciously trying to incentivize in our house. The thing that teaches little people is that there are actually three things you do with money. You give, you save, and you spend it, and later on as they get older we have another jar, which is the invest jar. So each week our kids get money, and as they get older, you can definitely move to a monthly system, but when they’re very young, so when they’re five, six years old, a weekly system is a bit better because they can’t keep track of a whole month period. It’d really get some great practice in if you’re doing it weekly. And what we do is we divide the money by four. So if, for example, they get 20 rand or $2, then what you do is that you divide it for the first three into the give, save, and spend, and then what we say is that the last portion, they can choose where it goes, and if they put it in the save jar, we then give them an extra bit of money. So for us, if they put an extra 10 rand or five rand into the save jar, they’ve learned that for every 10 rand, they get a whole extra rand for free. So I know that in adult terms that’s a 10% interest rate, and quite a big interest rate, but it’s really reinforcing that when you save, you get free money, because that’s essentially what interest is, is free money on free money. And then we just try and teach that because now they’ve already got one rand, they don’t need another 10 rand to get their free money. All they need is nine rand to get their free money. So it teaches you that you can reach your goals quicker when you put money into the save jar, and so therefore, you’re earning more money on that free money. For the give jar, we personally like our girls to have at least one of their coins for church on Sunday, and then the rest of their coins, they can choose whatever they do. For example, a person begging at the side of the road or whatever your family’s philosophy is, and for many parents, especially in towns and countries where there aren’t people on the side of the road, it becomes part of the family philosophy of giving, and it’s really important that we teach our children, and that we’re mindful ourselves, that all of us who have anything are way ahead of those who have nothing. So it becomes just part of who they are. And that thing of concrete learning is that what you’re trying, especially when they are young, before they can add, is to just get them physically used to the fact that there’s more than one thing, more than spending, that you do with money; that they believe from a very young age that you have to give it, spend it, and save it, and that’s what money is for. I had a fantastic session with second grade little girls, and we were chatting about what you do with money, and they were saying … The one little girl said, “My sister bought a chicken with her money,” and I suddenly decided, “Oh, goodness, I can teach them about investing.” And so I say to the girls, “Girls, what does a chicken do?” And they said, “Lay eggs.” I said, “Great. Now if our chicken lays an egg every single day, how many eggs do we have?” And they said 365 in the year, and then I said, “And if we sell them for one rand, how much money did we make?” And they said 365 rand. So I said, “Okay. So our one little girl has 365 rand, and the other one bought sweets with her pocket money. Who’s got more money at the end of the year?” And they said 365 rand. And so I said, “So what are we going to do with that money?” And being good girls who had all just learned give, save, and spend, they all shouted, “Give, save, spend,” and this one little girl in the corner shouted, “Buy more chickens.” I said, “That’s exactly what we do,” and so I did actually teach them that investing is when you can buy more chickens from the free money you’ve earned from what you have invested, essentially. So let’s go through what to do for every single stage. The first thing is that, before they can add, literally you are just focusing on teaching them the principles of money, that you gave, that you save, and that you spend, and that if you put more money in the save jar, you will get some free money. So that’s the first step, before they can add. Once they can add and subtract, then what you do is you buy them a little book, and you divide it into four tabs, and you track every single time that they put money in or that they take money out, and you also track for what they spend their money on. You’ll soon see between the different children that some spend their money on, in our house, books, and the others in our house, hot chocolate and sweets. So it becomes very clear what they’re doing, and then you get to practice maths with them. So you get to add and subtract, and then if there’s change from something that they’ve done, you add it back in, and you keep a running total. It’s a very good discipline for all of us that we should all be tracking our money. So it’s the start of budgeting, and it’s very good for their maths, and we record each jar separately. We make sure that every time there’s an interest payment or the free money in save, that we also record that line, that they get conscious of the fact that they’re getting free money in the save bucket. On our website, workingwomenswealth.com, we have downloads, give, save, and spend downloads, for both girls and boys. It’s just a little bit of fun to keep track of the money in each jar. Then once they can divide and multiply, the most important thing is to start your kids on shopping maths so that each time you’re in the shops, you work out which is cheaper to buy, the bulk version or the smaller one? And you’ll be amazed how often it actually isn’t cheaper to buy bulk. I’d made a really interesting discovery with Jace one day when we were working out that little plastic pedal bin liners were going to cost us 2 rand 50 for one plastic pedal bin, but that if you were to pay for the plastic bag at the counter when they’re packing your groceries away, those cost 55 cents, and we worked out that it was cheaper for us to get the plastic bags at the checkout than it was for us to buy a roll of bags because we took the total amount and we divided by the number of bags that there were. So shopping maths is a hugely important discipline, and it helps them to just really get to grips with how much things actually do cost, and then, because they are keeping track of their money and because they’re aware of their pocket money, they work out how many weeks of pocket money it costs you to buy the things that you live on. So that age of being able to divide and multiply really does make shopping maths come into the fore, and then also when they can divide and multiply, you can start moving the save jar to a bank account, but keep your spend and give jars because what we need to be teaching our children is that when the spend jar is empty, it’s empty. You can’t use it anymore, and that the give jar is a really conscious centering of our children, that this is part of what we do in our society. And then when they can do percentages is when you really can have a bank account because their bank starts to pay the interest instead of you, which is great, but you still keep track. You still must make sure that they have the discipline of keeping track with those interest payments, and they can do the calculation in terms of how much interest they earn, and they can see the separate line item, and just make them aware that that’s free money, that they did nothing for it, just by having it there and investing it. It then starts to teach them about compounding over time. I really am passionate about this fact that kids can actually start to handle the money that they have, but also to learn that you need to give, to save, and to spend. And I know that many people teach their kids that you just need to give 10% and you save the rest, but really, if we can start creating a savings culture where people save 25% of their money, that’s exactly the number that you’re supposed to be saving. Yes. If you start at 20 years old, you can save 15%, but most of us go to university and we only start saving at 25 years old and not 20 year old. So you do really need to inculcate at a very young age that at least 20 to 25 percent of your money should be going into savings or investing. And the difference between saving and investing is that saving, you’re saving for something. So if they want a hover board or something that is a large amount of money, then you save for that, but investing is money that you’re never going to be touching because that’s for your longterm goals and retirement. So that really is the difference that we try and do, is to build a foundation for really one of the most important elements of life, which is managing money, and I really say try here because I want to absolutely say that I have not got this sorted in my own children. I really laugh at God’s sense of humor that I have one child who is just completely un-materialistic, and she likes to give all of her money away and buy everybody sweeties at the tuck shop, and whether that means that she’s got to dip into her save jar and her spend jar, I really haven’t got it sorted. But that at least is one of the ways that one can change the culture, is by having these physical jars, and I really don’t recommend that until your children can multiply and divide that they have a bank account because they haven’t learned that, in fact, this is something that is finite. Money comes to an end once you’ve spent it, and they need to understand it in a concrete fashion. 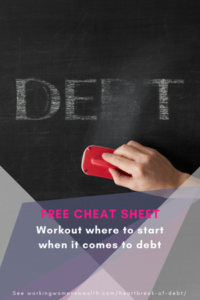 It’s actually really interesting that when we work with people who are in a huge amount of debt, especially credit card debt and things like that, one of the things that we find is that they have disconnected from the concreteness of money. And in actual fact, we coach them by getting them to draw cash and put cash into different envelopes, and for each of those envelopes, once that money’s gone, that money’s gone. So we go back to the concrete teaching of money, because there seems to be a whole generation who have just seen people swipe cards and view that that just doesn’t have to ever be paid off. The other thing in terms of kids and teaching kids about money … Well, it’s not really teaching kids about money, but it’s a really important thing to know, is that I did some numbers a little while back in terms of tax-free savings accounts for children, and I wrote an article called Giving Children the Eighth Wonder of the World, and that really is compound interest. In many countries, you can have some form of tax-free saving. It’s called an ISA in the U.K. It’s called a tax-free savings or investments account in South Africa. And what essentially one does is that you put a little bit of money aside for your kids. Many parents I know have an aspiration that they’re going to put a little bit of money aside and maybe help their child either get a car or pay for university or a deposit on the house, but I really do urge that we do try and put the money aside and actually keep it, because if you leave it throughout a child’s entire life, you will have more of an impact on their ability to pay for their retirement than cutting its saving period short by 20 years. But that’s just a small aside, and it’s a part of our thinking of compound interest and teaching kids about money. So for those of you who are interested in downloading the give, save, spend trackers, they’re on our website, workingwomenswealth.com, and there’s also the base articles of both giving your children the eighth wonder of the world, and also there’s an article on how to teach kids about money, and you’ll see those in the links to the show notes for this podcast episode. I’m Lisa Linfield, and this is Working Women’s Wealth. I hope you have a great week ahead. Take care.